A lot of people see entrepreneurship as risky. It’s true: there are definitely risks with running your own business. But it’s a mistake to believe employment carries no risk. If you’ve ever been let go from a job, you already know. The risk is still there, it’s simply hidden when you work a job. You get to enjoy the illusion of stability. A job is 100% secure until it isn’t. You have total peace of mind until you get the rug pulled out from underneath you. That’s when you realize you were always vulnerable. 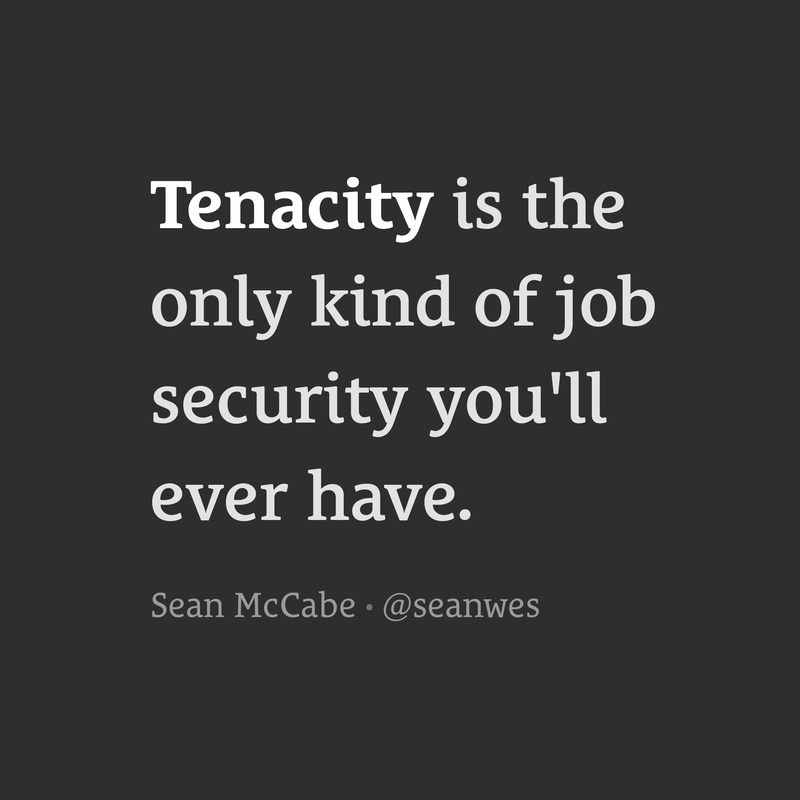 All you have control over is your own drive and tenacity. Your willingness to persevere and move forward in spite of obstacles is all you can count on. This is what the entrepreneur understands. An entrepreneur is someone who is relentless. They find a way. They have the two-part skill of finding and solving problems. Entrepreneurs are never out of a job because the world is never out of problems.